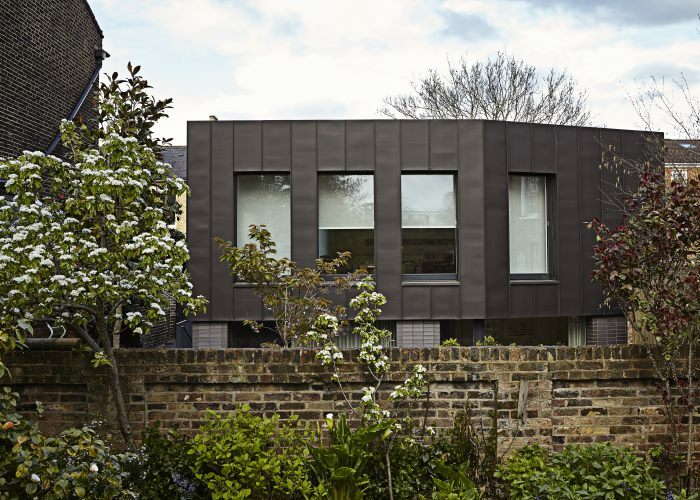 Architect Bernard Tulkens tells us about his award-winning Lansdowne Drive Passivhaus. 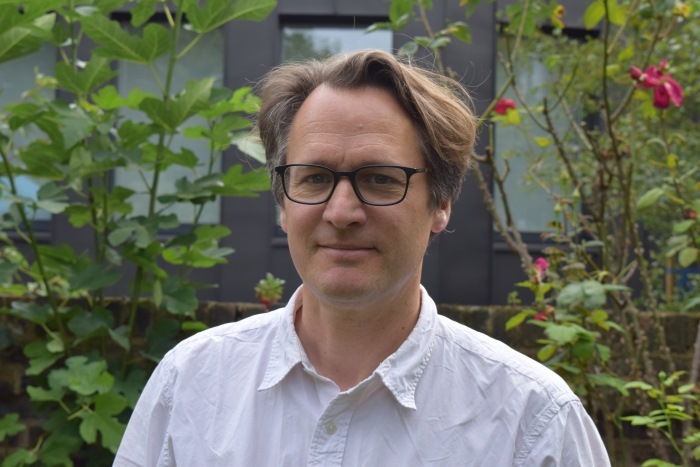 Bernard has been running his own architectural practice for the last 12 years, with a focus mainly on residential projects. 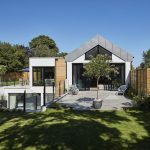 He recently won the 2016 UK Passivhaus Trust Award – Urban category – for his Lansdowne Drive Passivhaus, the first Passivhaus he had designed, and for which he was the client. 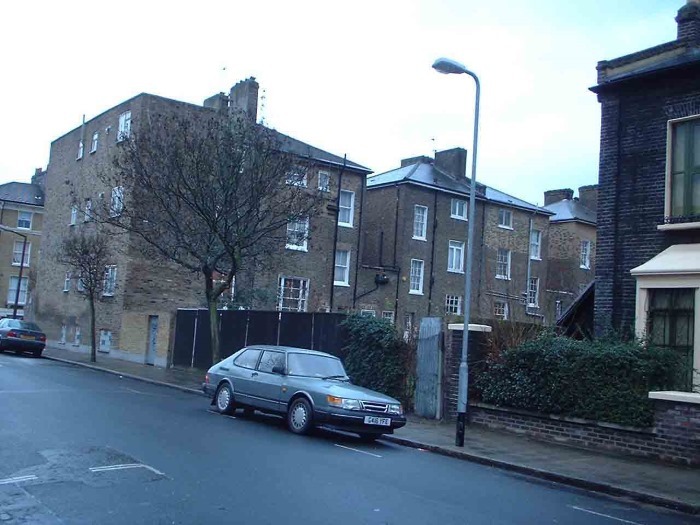 Bernard bought a house in 2004 in Hackney, East London, with a garden that had been extended by a previous owner. 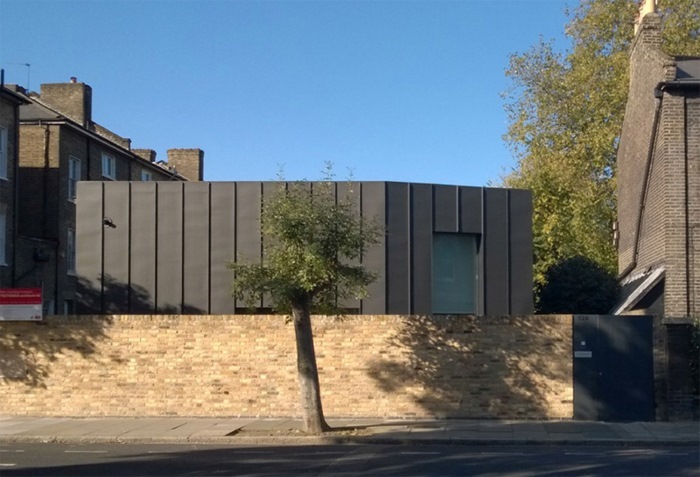 It made an ideal, small infill plot and he decided to build something to keep himself, rather than for sale. 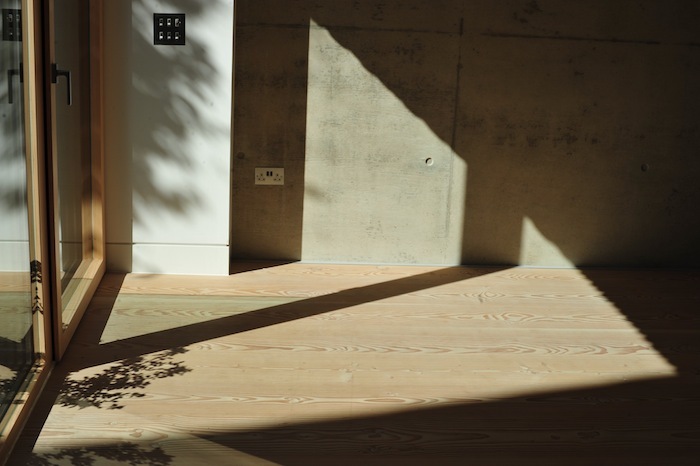 Although his parents-in-law now live there, he initially designed the building without a particular client in mind. There were multiple constraints on the site. 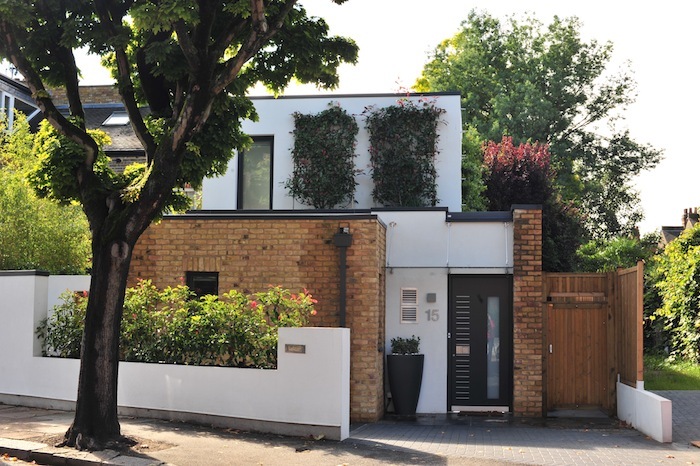 Being in a conservation area there had to be considerations around the massing, appearance, privacy of neighbours, light for neighbours, appearance, etc. 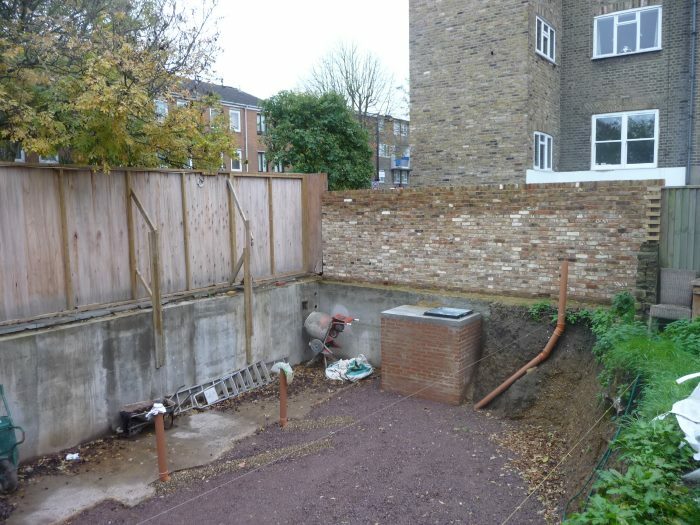 The planners made the “suggestion” that it be half sunken, which was something Bernard could appreciate, although it cost him an additional £100,000! He is grateful that they allowed him to build something unique, despite being in an area of Victorian terraces. 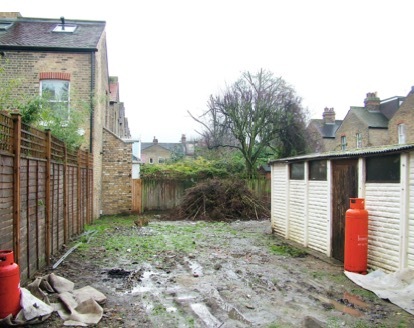 Planning permission was finally granted in 2010. The commencement of the project was delayed following the 2008 financial crisis, with banks being unwilling to lend to finance the project, particularly with Bernard having no experience of development. 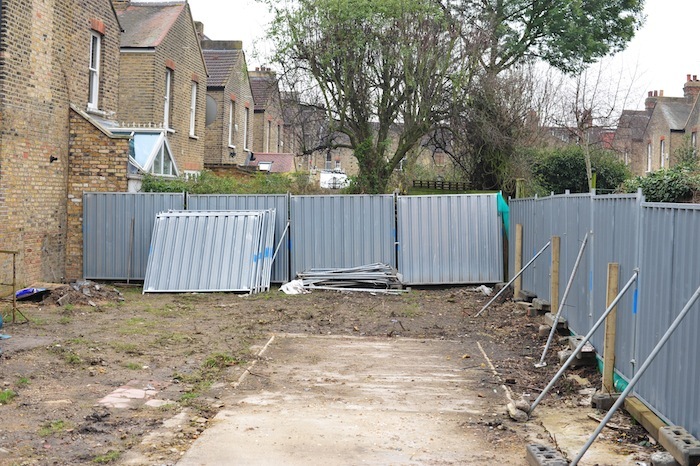 Initially his plan was to build two smaller units with the intention of selling one and keeping the other, but that brought complications with the extra funding required and the council not being keen on the additional development. 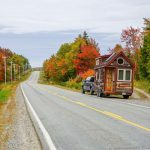 Bernard thinks they probably under-developed the site but is ultimately pleased with that decision as it has meant they haven't had the financial obligation to sell. 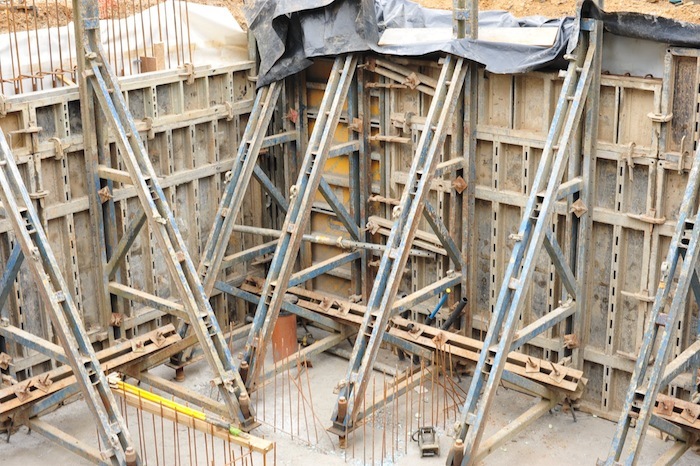 The cost of building the shell came was in line with Bernard's predictions, though he had to spend an additional £80,000 on groundworks, excavating and enabling the site before construction started. 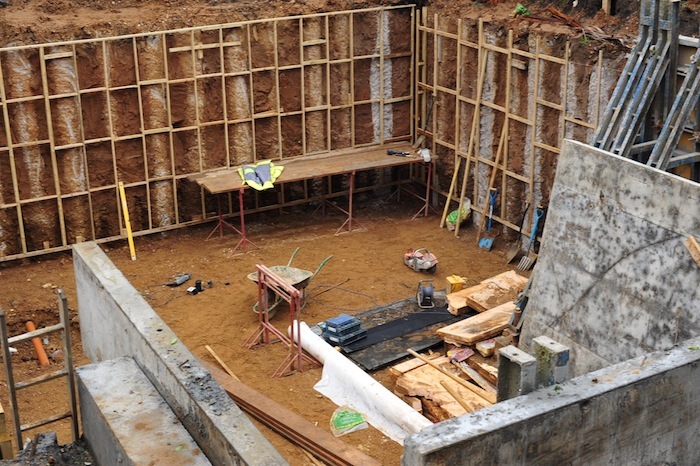 Having to dig down meant that to a certain extent there were technical constraints about some of the materials that could be used on the house. Bernard explains that the idea of the construction and the idea of the space are intertwined. 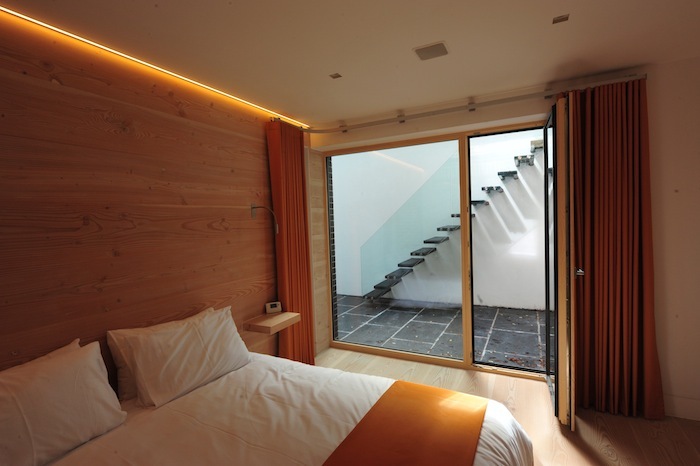 His vision was for it to be a small house with large spaces, and the use of cross-laminated timber offered the possibility of exposed construction. They are big elements that are installed in a simple way, are good environmentally and have low air leakage. 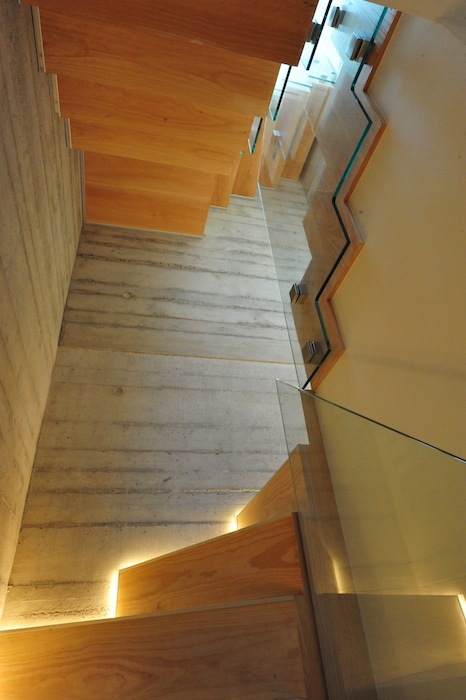 The decision to use exposed concrete was partly financial and partly aesthetic, and came naturally when the materials were being assembled. 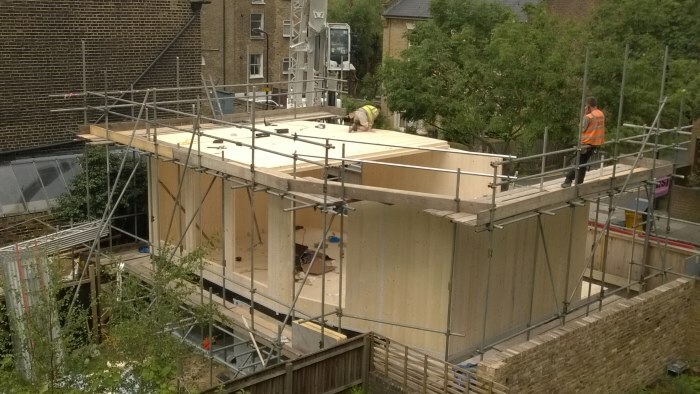 The Passivhaus element actually came quite late in the process. 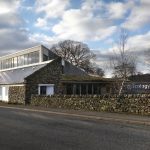 As the scheme developed Bernard realised that this way of building was allowing him to create good airtightness, be able to insulate well and eliminate all the cold bridges. 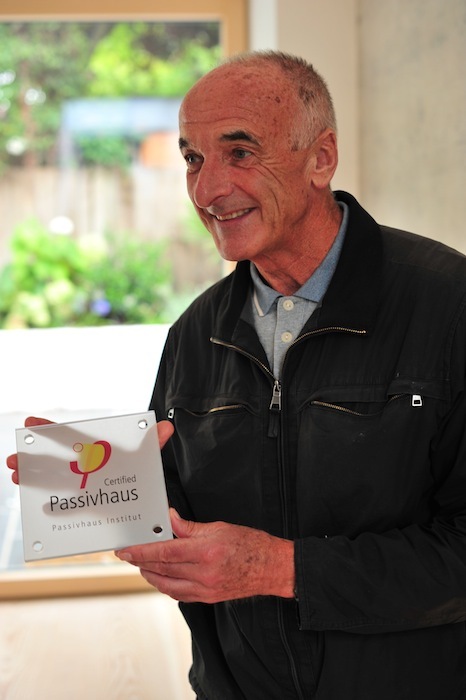 Initially Bernard was told by people that he spoke to that the site wouldn't be suitable for building a Passivhaus. 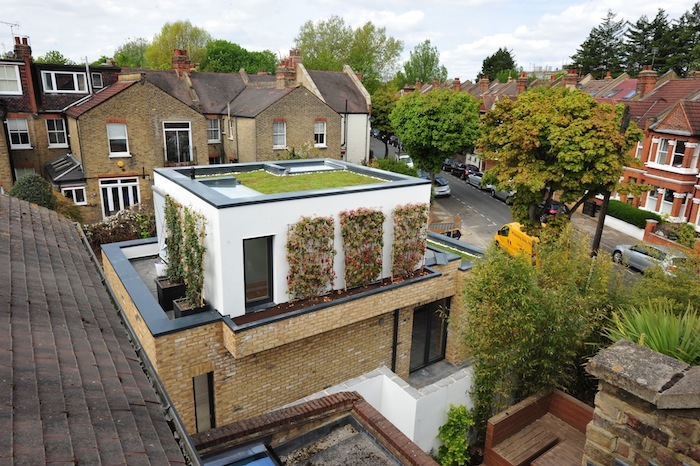 A couple of years later he met Peter Rankin, a Passivhaus Designer, who took on the challenge. 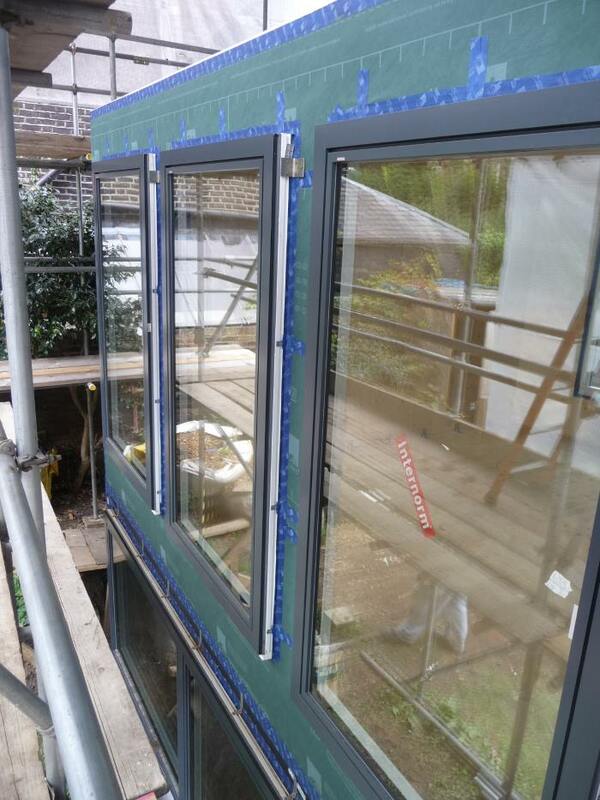 The structure benefited from being very straightforward with continuous lines of insulation and no thermal bridging. By looking at the materials Peter was able to calculate their properties and found a balance between a lot of insulation in the walls and letting more sun in, using a more transparent glazing, from the west. So far the building has performed very well. The windows have roller blind shades that have micro-perforations that cast shadows while still giving views of the outdoors. The properties of the wood fibre mean it performs better than extruded polystyrene in terms of thermal inertia and thermal mass. 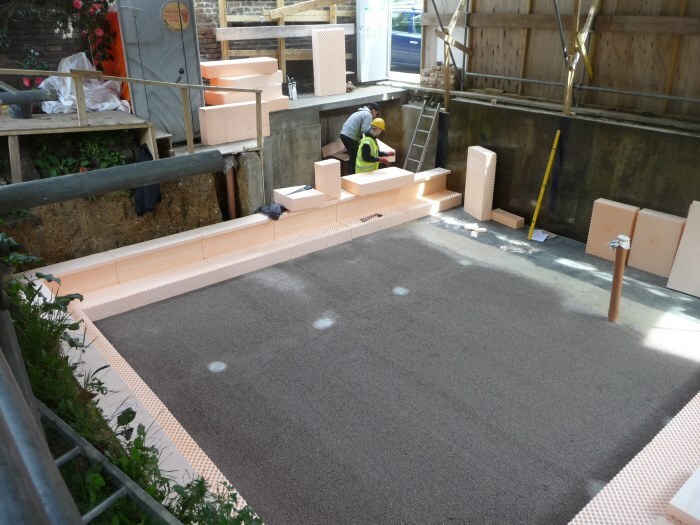 Bernard will also be putting sedum on the flat roof which will help the protection on very hot days. Bernard stresses that Passivhaus requires a greater attention to detail, but by keeping the detail simple it will be easier to make. He explains that if the materials are designed to fit next to each other, then putting the tapes on for example is important, but not a huge challenge. 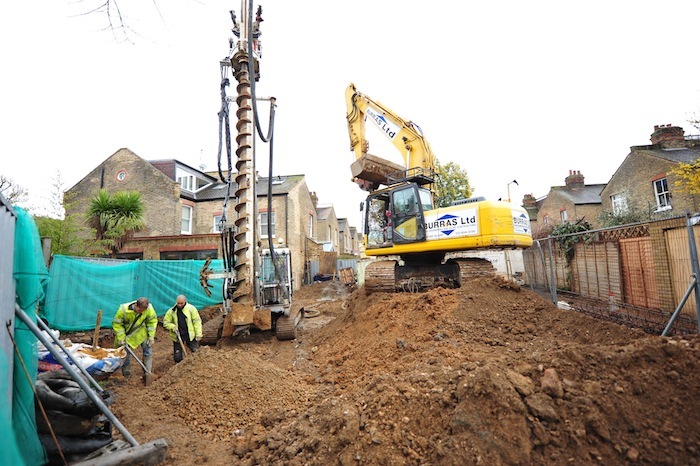 Bernard was in the fortunate position that his office was next door so he was able to be on site sometimes up to 3 times a day which was a great help for supervising the works. Instead of using a general contractor (“they want to do a good job, but they have their agenda which is efficiency and making a profit out of the construction”), Bernard would have a trade come in to do their job, analyse it, and then move on to the next. Once construction work started, the whole build was actually quite quick to complete. 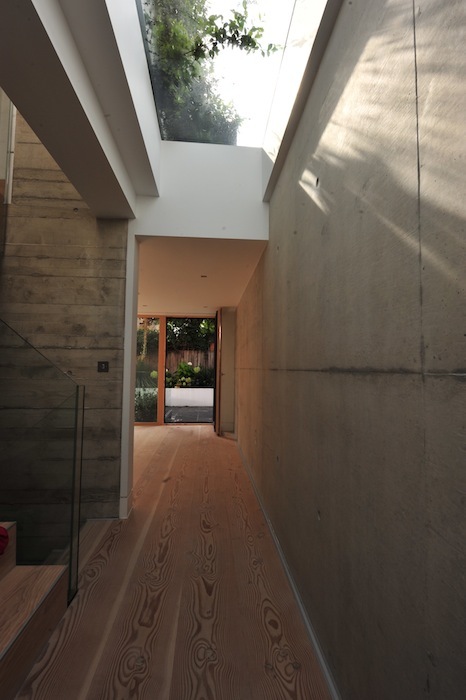 The concrete works took 6 weeks, followed by a two-day installation of the cross-laminated timber, window installation and wrapping the building in an airtightness layer, which took 2 months in total. The internal fit-out took slightly longer because Bernard was waiting for individual trades, but in total the whole construction took a year to complete. A positive experience that he would do again. 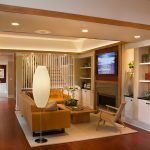 The decision to expose materials on the inside was determined more by finance and not having a particular client, but while lovely, may not suit everyone. Having time to do things one by one was a great luxury. 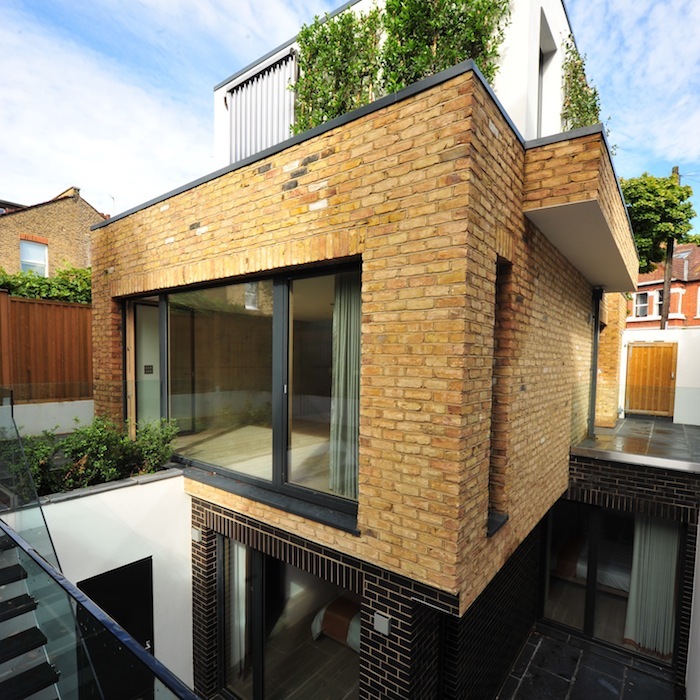 Managing to get lots of light into the building and keeping the rear garden makes it feel like a house, rather than an infill development. His best advice for a self builder would be to have patience! We are excited to announce that we have a new video case study that we are introducing into The Hub. 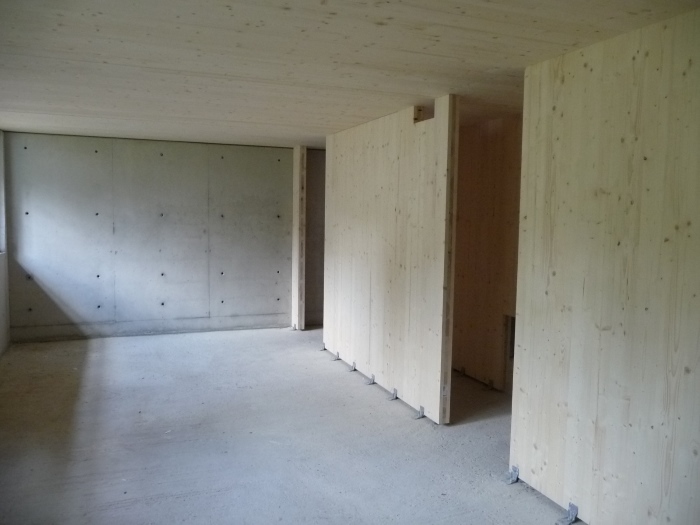 Buckinghamshire Passivhaus is a timber frame build using the PH15 system from Passivhaus Homes. It has a floor area of around 350m² and as the clients don't want to appear on camera it is going to be focusing on the team, with Janet Cotterell as our guide. 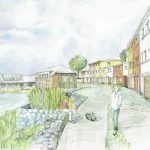 We hope to have the first episode available in The Hub this month, so to follow the progress you'll need to make sure you sign up at www.houseplanninghelp.com/join.